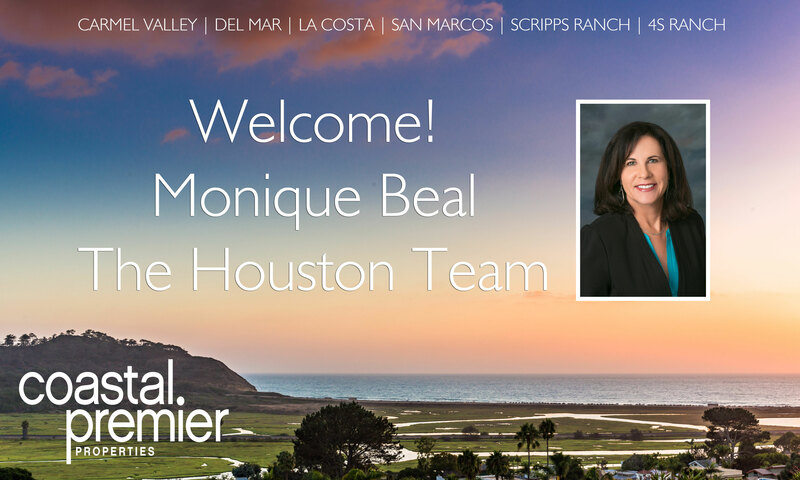 Coastal Premier Properties is thrilled to welcome Monique Beal! Monique will be joining The Houston Team and working out of our La Costa office. Click here to contact Monique. For more about Coastal Premier Properties, visit our website! 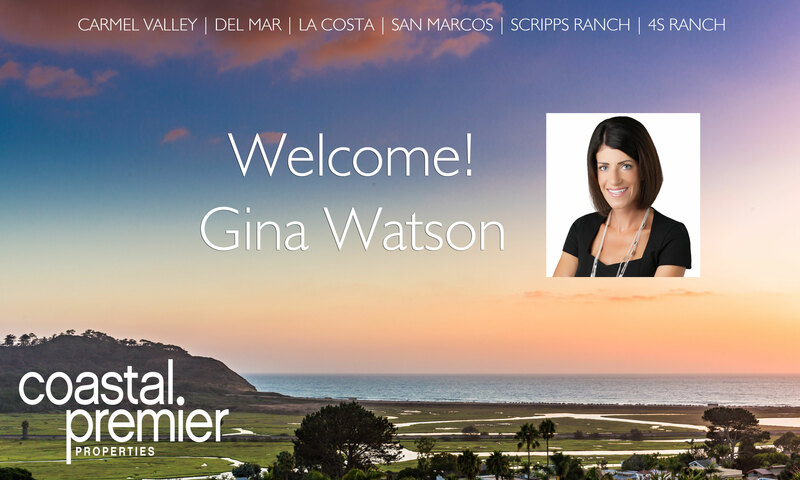 Coastal Premier Properties is happy to welcome Gina Watson! Gina will be working out of our Carmel Valley and San Marcos offices. As a licensed Realtor, Gina Watson advocates for your interests whether buying, selling, or even leasing a home. She is also a relocation specialist and can help you with your move into or out of San Diego. Gina graduated from UC-Santa Barbara with a degree in Biology before earning a Masters in Education from National University. Her background in education and knowledge of the school system allows her to educate her buyers on how to make informed decisions about schools for their children. Gina has a true passion for helping her clients with their long-term real estate investments and her experience and dedication shows. She is a 5-star rated agent on Zillow and in 2016 she was named to the Coldwell Banker Diamond Society, an award given to top-performing Realtors. Gina is a California resident of over 30 years and currently lives with her husband and two children in Carlsbad. When she’s not helping her clients buy and sell homes, Gina likes exercising, cooking, traveling, reading, camping, and spending time with her family and friends. Click here to contact Gina. For more about Coastal Premier Properties, visit our website! Executive semi-custom estate in exclusive gated RSF neighborhood. Gorgeous resort like .79 acre lot gives this home wonderful privacy and breathtaking mountain views. Truly lives like a single story with a downstairs master bedroom, 2 ensuite bedrooms and a private upstairs guest suite. Beautifully appointed with top of the line finishes inside and out, salt water pool & spa, outdoor kitchen, California Room for the ultimate indoor/outdoor lifestyle. Enjoy the gourmet kitchen with separate prep kitchen! SOLD for $1,845,000. Gorgeous home with huge view lot on a quiet cul-de-sac with only 4 homes! Modified Barrett Plan 1. (See floorplan) Huge loft added over formal living room to create a kids game/media room with pool table etc. and a nice loft for office/library. Gorgeous entry with floor to ceiling windows!Very bright and light! Interior is nicely upgraded with crown molding throughout, stainless steel, granite, 3 fireplaces, sunken nook, and surround sound. Watch the balloons and sunsets from the master bedroom balcony. SOLD for $1,554,000. ABSOLUTE PERFECTION in desirable LA COSTA GREENS! Situated on an elevated, pool size lot w/OCEAN, GOLF COURSE & CANYON VIEWS, this showplace is sure to impress! Gorgeous hardwood flooring throughout, crown molding, custom woodwork, built ins & 2 fireplaces just to name a few of the exquisite upgrades in this model like home! The chef’s kitchen features newer cabinets, beautiful stone countertops, SS appliances, butlers area & wine refrig. 1 full bdrm suite on first floor, huge loft up! SOLD for $1,550,000. Better than new and in pristine condition w incredible mountain views! 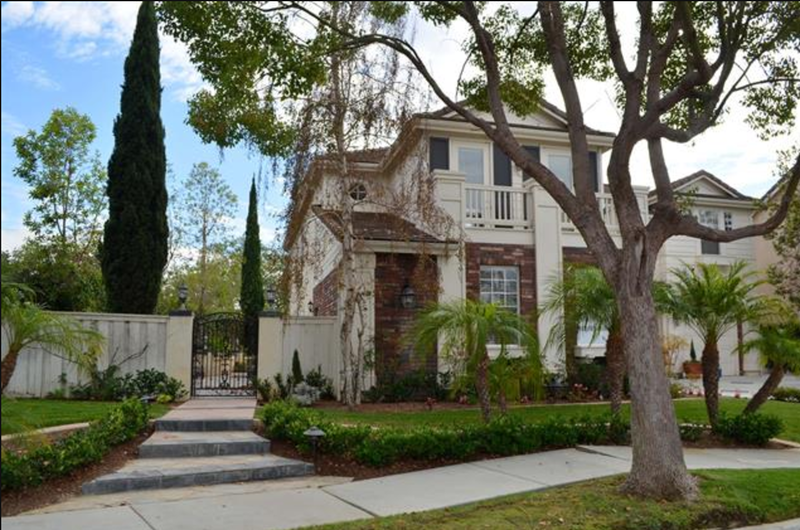 Beautifully decorated executive home in the Lakes above RSF, a gated enclave of newer homes. Open concept great room w gourmet kitchen, private office, downstairs bedroom & bath, loft & option for 2 additional bedrooms. The outdoor living room features a central fireplace, TV prewire w custom designed cabinet, multiple fire features, outdoor kitchen and sport court. 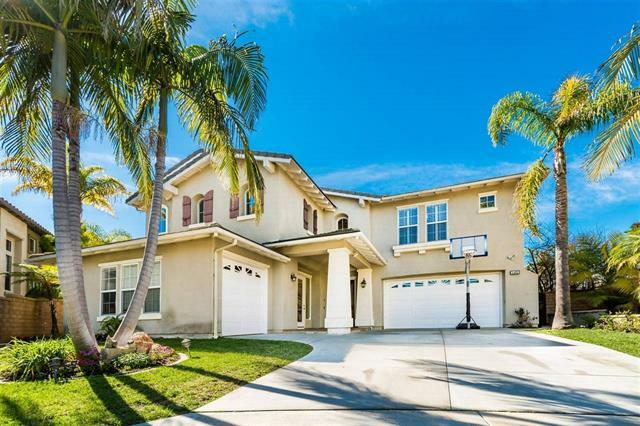 Centrally located between Del Sur/4S Ranch & RSF. Top PUSD schools. SOLD for $1,455,000. 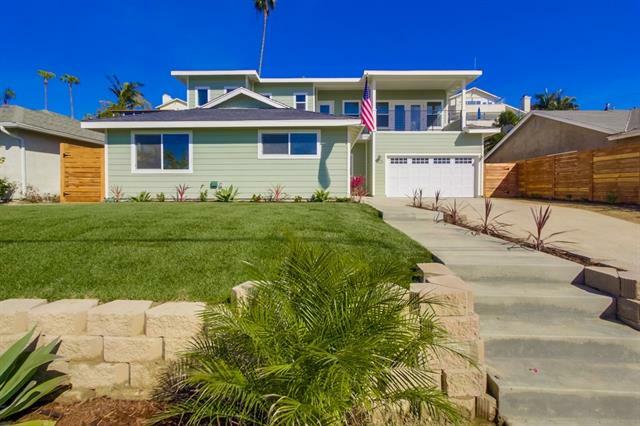 Awesome Ocean & Sunset views in this newly constructed (2017) Cardiff by the Sea home. This gorgeous home boast the highly desired “California flowing floor plan.” Featuring beautiful “white wash” french oak engineered wood floors, custom cabinetry, stainless steel appliances, quarts & marble counter tops, dual pane windows, and so much more! Located in the Cardiff Elementary school district. Centrally located close to all; live the Cardiff lifestyle! SOLD for $1,299,000. Spectacular LAGOON, GOLF and backcountry VIEWS! Beautifully updated home located in the gated Monte Mira community. Open and bright with high ceilings, wood floors, remodeled chef’s kitchen with breakfast nook, custom built-ins, 3 fireplaces, and downstairs Master Bedroom with French doors and luxurious Master Bath with soaking tub. Enjoy ocean breezes and dramatic views from the slate patio, and peek ocean views from upstairs. This top-of-the-world location is private and only minutes to golf and beaches. SOLD for $1,220,000. Fully Owned Solar with Tesla Home Energy Storage* This elegant home greets you a soaring second story ceiling in the foyer, slate floors, & wrought-iron staircase. Upgrades include crown molding throughout, LED recessed lighting, whole house fan and two electric vehicle connections located in the garage. Formal living room enjoys a cozy fireplace and in-ceiling speakers and flows to the dining room which features a dry bar and french doors to the patio. Sold for $1,180,000. First time on the market in over 40 years. Doelger-style, light and bright, two story home. Corner lot, views of the Golden Gate Bridge, Marin Headlands and ocean peek views from second story. Updated kitchen, low flow toilets and showers, oversized bay/picture window, gated backyard, finished first-story den with bathroom, and two bedrooms upstairs with full bath. Built in 1946, gravity heating, original wood trim around windows and fireplace, original red pine quarter-sawn wood floors in bedrooms. Sold for $1,175,000. This is TRULY the home your clients will be proud to own. Located in the desirable LA COSTA OAKS on a private cul-de-sac with stunning mountain and hill views from your designer back yard with cozy fire pit for lavish entertaining. This home has has a great room concept with a fabulous gourmet kitchen with upgraded stainless steel appliances and exotic granite counter tops and backsplash, huge center island. Upgrades abound with beautiful first level hard wood flooring and plantation shutters throughout. Sold for $1,100,000. 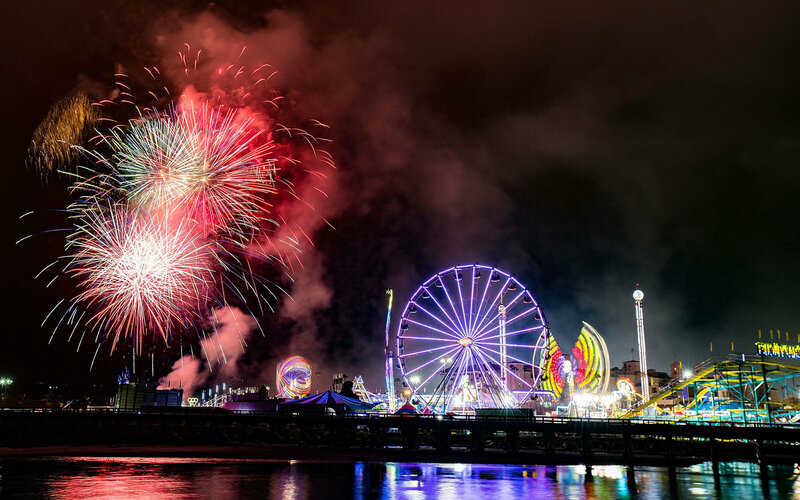 Enjoy spectacular panoramic views of city lights & ocean! Large private .4 acre lot at end of cul-de-sac. Spacious floor plan features interior courtyard, formal living & dining rooms, and desirable bedroom & bath downstairs. Dual staircases. Just painted & new carpet installed. Gourmet kitchen with center island & walk-in pantry. Enjoy sunset views from master suite balcony. Beautifully re-landscaped pool sized yard! Ample parking with curved driveway! NO MELLO ROOS! Sold for $1,020,000. Welcome to this captivating home with Panoramic Ocean Views...Loaded w/ luxurious features & impeccably maintained this 3640 sq ft home includes Downstairs Master Suite & spacious office. Upstairs features 3 bed, 2 full bath, enclosed loft/upscale gym with view balcony & seating area w/nook. Gourmet kitchen w/new stainless appliances, granite counters, center island, walk in pantry & butlers pantry. Generous family room w/custom fireplace, large media niche, & AMAZING lush views from every window! Sold for $1,019,000. Fabulous Park Village remodel! Open floor plan with high ceilings and convenient downstairs bedroom/office w full bath. Professionally remodeled main floor featuring beautiful wood custom cabinets and backsplash, SS appliances, hardwood floors, upgraded lighting and plumbing fixtures. Oversized private lot with professionally landscaped yard. Low traffic street away from busy roads. No HOA or Mello Roos. PUSD including PV Elem, Mesa Verde MS & Westview HS. Close to freeways, shopping and beaches. Sold for $995,377. A Woodcrest Hills Gem in ever popular Rancho Penasquitos! Enjoy the community pool and tennis. This warm and inviting floor plan with towering cathedral ceilings, fire place in the family room, & island kitchen is perfect for entertaining and offers expansive views to the north off your private backyard. 5 bedrooms, 3 bathrooms, a huge master Suite, separate laundry room, 3 car garage, formal dining and more! Professionally easy maintenance landscaped front yard. Freshly painted and ready for you. SOLD for $875,000. Pending before processing. Home in good clean condition, all repairs made and fresh paint in and out. newer carpet. New stainless appliances. Garage has sheet rock. New wrought iron fence in rear. Sold for $835,000. Beautiful 1724 sqft home in the highly coveted Colinas de Oro development. Nestled on a 5000+sq ft lot on a quiet street with great curb appeal and mature palms throughout the property, this home is the perfect family home! Move right in or add your personal touch to this hard to find floorpan with 4 bed, 3 baths, 2 car garage. With lots of natural light throughout, this home offers a great value for a growing family. Sold for $775,000. MUST SEE! 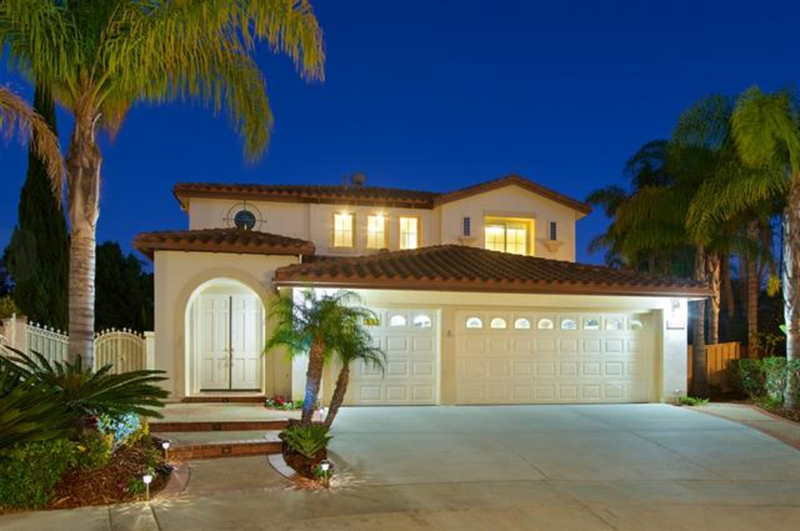 Beautifully upgraded 3 bed 2.5 bath home in Rancho Penasquitos. Open spacious floorplan w/ vaulted ceiling & natural light. Beautiful hardwood floors downstairs. Newly remodeled kitchen featuring granite counter tops and high end stainless steel appliances. Plantation shutters throughout. Gorgeous master bath recently remodeled with travertine floors, granite countertops, dual sink and walk in shower. Private beautifully landscaped large backyard! No HOA/Mello Roos! Poway schools. Sold for $754,000. Don't miss an opportunity to own this desirable Plan 2 Garden Walk home! Open spacious floor plan with large bonus/loft upstairs, den/office downstairs with full bath! Kitchen features granite counters, center island & adjoining eat-in area. Large master w/private balcony along w/2 secondary bedrooms upstairs. Additional features...central air, tankless water heater, gas fireplace, ceiling fans throughout, Lovely yard w/covered patio area to enjoy! Award winning Poway Unified School District. Sold for $740,000. Single story lovingly remodeled turnkey home on beautifully landscaped useable 1/2 acre lot. Completely remodeled inside & out featuring gourmet kitchen with granite counters, upgraded cabinetry & stainless steel appliances. Opens to an expansive great room with fireplace, vaulted ceilings & skylights. Spacious master with huge closet & lavish master bath. Largest usable lot in the area with entertainment area, raised garden beds,greenhouse, fruit trees, swing set, spa, RV parking. No hoa or mello roos. Sold for $710,000. Just Reduced! Country Club Style Living - Cul-De-Sac home located on the 5th Tee Box of the Oaks North, South Course. Open and Airy floor plan with 3 bedrooms, 2 baths and an Enclosed Patio Room. Turn Key with new Roof and upgrades that include: Tankless water heater, remodeled bathrooms with granite counter tops, updated kitchen with corain counter tops and stainless steel appliances, A/C, Skylight, tile floors and so much more. Sold for $700,000. Waterfront Property. Secluded Beach right below property. Stunning two bedroom with Ocean Views.The sunset you will see from your living room will knock your socks off! Each bedroom is it's own suite with it's own bathroom and jacuzzi tub. Updated and ready for move in. Sold for $680,000. Incredible end unit townhome with a large wrap around patio in the heart of 4S Ranch - you’ll love the high ceilings, open floor plan & walkable community. The gourmet kitchen boasts black granite & stainless steel GE appliances. Great entertaining spaces & a large loft perfect for a home office or teen room. Master suite & 2 add. rooms are large & bright. Ravenna pool, hot tub, tot lot & BBQ area at your disposal! Enjoy top PUSD schools and convenient parks, shopping, restaurants & amenities. Sold for $639,000. Beautifully remodeled w/large, usable back & side yards on private lot, ideally located on a wonderful cul-de-sac in the gated Silver Crest community. Great floorplan combining kitchen, breakfast nook & family rooms that open to the large, private back yard + a spacious dining/living r combo & a 1st floor enclosed office (just add closet for Bd 4). This turnkey home offers many custom touches & tasteful upgrades, incl. granite counters w/tile backsplash, S/S appl. bamboo flooring & more! In escrow before MLS! Sold for $634,000. Stunningly remodeled 2 bed/2 bath unit with designer upgrades throughout. Enter this 5th floor residence with keyless entry to find European wire brushed hardwood flooring, in-laid carpet, and upgraded trim with solid core doors. The kitchen has been completely redone to include: self closing cabinets, stainless steel exhaust, carrera marble counters, cabinet faced dishwasher, extra shelving, Blanco fireclay sink with chrome faucet, full wall glass back splash. Sold for $629,000. Welcome home to this spacious house with breathtaking views of the hills and magnificent sunsets. The warm kitchen showcases a huge island with gleaming countertops open to a grand room that includes the family room and dining room. Below, enjoy a roomy basement, perfect for a kids rec room or guest suite. A beautiful, wood paneled, office is next door & can be used as an optional bedroom. Enjoy the sunshine on the back deck surrounded by a gorgeous, walled garden or under the palm trees next to the pool. Sold for $600,000. This fantastic 4 bedroom Discovery Hills family home is located at the end of a large cul-de-sac with expansive private lot with RV parking. No HOA fees. Award winning San Marcos school district. Home has new paint inside and out, new carpet, new front fence and no detail has been overlooked. First level features dual-fireplace with wood laminate flooring throughout. Light & bright interior with flowing layout from living room to family room to dining room. Walking distance to Discovery Lake. Must See! Sold for $600,000. Beautiful open spacious floor plan w/main living areas, master & 2 secondary bdrms on entry level. Formal living/dining area w/French doors leading to large patio/deck w/retractable shade awning. Kitchen includes granite counters & adjoining eat-in area. Downstairs features game or great room, 1 secondary bedroom, built-in sauna & huge work shop. Hardwood floors, crown molding, central air, security system. Long driveway w/ample parking! Beautifully landscaped...enjoy park-like settings in rear yard. Sold for $595,000. Rarely available single level town home with backyard & views! Charming Living room flows into the dining -creating great space for family & guests offering an abundance of light due to the home's south-west orientation. Kitchen offers granite counter tops, stainless steel appliances, beautiful cabinetry & breakfast bar. Laundry rm has a closet used as a mini office space. Entertaining backyard extends the length of the building with a fire pit, Built in BBQ & soothing fountain. Community Pool/spa/tot lot. Sold for $565,000. West of I-5 ~ Spacious & bright upper level unit ~ High quality remodel, one you should NOT miss! Vaulted ceilings & expansive backcountry views. Hardwood floors. The list of improvements is extensive, please see supplement. Oversized 1 car garage + a permitted parking space. Picturesque community with tall pines giving it that Olde Del Mar feeling. 2 Community pools & spa. Extremely private & convenient unit offering the best schools, easy access to shopping, beaches, Torrey Pines park & freeway close. SOLD for $550,000. Estate sale, great area, nice view, large fenced rear yard, hardwood floors, fireplace in living room, large family room appears to be a well done patio addition that blends with the house, living room and family room separated by wall of windows. older classis kitchen, older classic tile in kitchen and baths. Sold for $547,000. Immaculate, well maintained and beautiful! This 3 bed PLUS office townhome is largest floorplan, & an END UNIT, in the highly desired community of Magnolia. Great location end unit with an oversized balcony overlooking the pool/spa and close to the BBQ area. Many upgrades including granite counters, SS appliances, plantation shutters and custom blinds, dual paned windows, upgraded 4 inch baseboards, Nest Thermostat. Bonus room/office on entry level, 3 bd/2 full bath’s on same level upstairs. Wont last!! SOLD for $530,000. Offered for $499,000-$519,000 (VRM). This picture perfect home sits on an ample nearly 1/3 acre lot within the Silver Fox Lane cul-de-sac and has NO HOA! Location truly does not get much better – just minutes to the coast, public transportation, schools, shopping, and all that the newly revitalized downtown Vista scene has to offer! SOLD for $512,000. Quiet and clean town home with spacious fenced yard in the center of everything! Hazard Center area with access to most major freeways for an easy commute to nearly anywhere in the city. Steps away from the trolley station to head downtown or to the beach. This dual master has newer carpet, paint, and laminate wood flooring downstairs. Incredibly efficient layout with high ceilings downstairs and in the master. Includes near new Samsung refrigerator and stainless steel appliances along with a newer AC. Sold for $509,000. Reduced! $499K-$535K Move in ready! Highly desirable single story home close to Woodland Park! Bright open floorplan with upgraded laminate flooring, designer baseboards & paint. Lovely remodeled kitchen includes newer cabinets, granite counters w breakfast bar and SS appliances. Charming fireplace in living room and lots of natural light. Newer HVAC, dual pane vinyl window & insulation. Refreshing in-ground pool w/ newly fenced backyard. Convenient two-car attached garage. No Mello Roos/HOA fees! Sold for $500,000. Rarely available southeast/southwest facing tri-level corner unit townhome at Morgan’s Corner in the heart of San Elijo Hills. Bright & open floor plan provides the ultimate in comfort downstairs, featuring an incredibly spacious kitchen with brand new stove, microwave & dishwasher, polished Saltillo tile floors & room for a movable island, dining area with beautiful wood laminate & living area with built-in entertainment center, with a private courtyard outside the front door and attached 2-car garage. SOLD for $499,000. Don’t miss this bright, beautifully maintained 4S Ranch townhome with lovely mtn views! Main floor is yours to relax or entertain: surround sound, elegant fireplace, and a gourmet kitchen boasting beautiful granite, stainless GE appliances & island with bar seating. Highly desirable 1st floor suite! Soak in the view from the master suite with a luxe bathroom & home office. Upscale San Moritz offers a community pool/spa & barbecue area. Walk to shopping, amenities, parks, dining & attend top PUSD schools. Sold for $499,000. Amazing townhome located in the Magnolia community/Old Creek Ranch, near San Elijo Hills. Features incl. 3 Bd/2.5 Ba + downstairs den w/open floorplan, large granite kitchen, center island, S/S appliances, premium tile/carpet flooring, A/C, recessed lighting & more! Private balcony off the main living area offers a perfect place for outdoor dining. HOA incl. water. Move-in ready: Fr/W/D. This resort-style community offers a pool & spa, playground, covered bbq area, lush landscaping & more. VA/FHA welcome. Sold for $480,000. Turnkey condo in the heart of Carmel Valley. Conveniently located on the first floor (no stairs! ), this light, bright & airy 2 bed/2 bath condo looks out onto open green space & has terrific ocean cross-breeze. Features: 1 yr new easy maintenance Pergo floors, stainless steel apps, granite countertops in kitchen & bathrooms, ceiling fans & AC, stacked washer/dryer laundry closet. Walk to top-rated schools, CV rec center, library & Del Mar Highlands/future One Paseo plazas. Easy access to freeways & beach. Sold for $468,000. GUEST HOUSE! Charming Ranch style home nestled among oaks above scenic Woods Valley. Several outbuildings for storage. Enclosed breezeway separates main house from APPROX 900 SF guest house with wood deck and view gazebo. Perfect home for extended family with green thumbs. Conveniently located for Esco commute or VC town and schools. Sold for $440,000. Wonderfully upgraded "Move-In Ready" tri-level townhome featuring numerous upgrades, a great floor plan, & outstanding community amenities. Towards the back of the complex, the front patio & FR balcony face the hillside rather than other units for a premium location & added privacy. With one bedroom and full bath on the 1st floor, two main living spaces adjoining the kitchen on the 2nd floor, and two bedrooms on the 3rd floor, the functionality of this home is top notch. Sold for $425,000. Located in the heart of Mission Valley & close to shopping, restaurants & more! Open spacious top floor condo in private gated complex! Shows beautiful & modern w/upgraded kitchen & baths. Neutral carpeting/paint, vaulted ceilings. Kitchen features upgraded counters, cabinets & SS appliances (Refrig/W/D incl). Large dual masters -1 w/private bath & walk-in closet. Beautifully maintained complex w/community pool, spa & gym. Secured underground parking w/2 tandem parking spots (#83) & guest parking. Sold for $409,000. Great opportunity to own in Point Loma's Sea Colony! This loft style unit has been remodeled with newer kitchen, upgraded bathroom & vanity area & hardwood floors downstairs. The kitchen has been expanded & open to the living area & entry. The open living room has sliders to the private deck where you can enjoy views of the greenbelt. Upstairs is the loft style bedroom & full bath & large vanity...with a lot of closet & storage space! There's also a sitting area that could work great as a home office. Sold for $407,000. Seller will entertain offers between $349k-$379k Beautiful 1bed/1bath in desirable Carmel Pointe! Fantastic 3rd floor unit with VIEWS! Features include: Granite counters in kitchen & baths, dual pane windows, gorgeous cabinetry, private balcony, all stainless steel appliances included as well as full size washer/dryer, central air & heat, clubhouse, fitness center & pool! Close to Carmel Valley Community Rec Center, library & shopping! Just minutes from I-5 and the beach! (No elevator units on 3rd floor). Sold for $389,000. Coastal Premier Properties is happy to welcome Kathy Bischofberger! Kathy will be working out of our Carmel Valley and Del Mar offices as part of the dwellem team. Click here to contact Kathy. For more about Coastal Premier Properties, visit our website! West of the FWY, a Beautiful, Brand New 4 Bedroom ( one being a guest suite with a deck) & 5 Bath Family Home on a Large Cul-de-sac Lot in the Exclusive Community of Eolus 4! Designer selected finishes throughout with Indoor/Outdoor Living including a Chef’s Gourmet Kitchen, Huge Laundry Room,Voluminous Ceilings, Spacious Rooms/w tons of Natural Light, Game Room, Downstairs Master Suite and a separate private office off the entry, Fireplace in the Family Room, 3 Car Garage. SOLD for $1,975,000. New home built by Tourmaline Properties in North PB with an open floor plan and high quality finishes. This home is elegant inside and out. Large outdoor spaces including a huge, covered front porch. Roof deck boasts ocean views. Spacious rooms with ample natural light. Features include wood flooring throughout, high ceilings, LED lighting, crown molding, Heath Ceramics tile, Viking appliances, and custom cabinetry. SOLD for $1,778,000. UNBELIEVABLE OCEAN VIEW SHOWPLACE & ENTERTAINERS DREAM BACKYARD on premiere canyon single loaded cul-de-sac in La Costa Oaks! Enjoy the ultimate California lifestyle with indoor/outdoor living! UPGRADED TO THE MAX!! Full bedroom suite & office on first floor, huge bonus room upstairs with a private deck for breathtaking sunset views! The pool all kids dream of w/grotto, waterfall, waterslide & spa! SOLD for $1,695,000. Premier large corner lot situated on a cul-de-sac in the La Strada Community - this home has it all! Ocean views, walking distance to Torrey Hills Elementary, stunning custom saltwater pool and spa, solar system and MORE! Step inside and be greeted by cathedral ceilings, flagstone flooring and your formal entry, dining and living rooms. Open floor plan features a chef’s dream kitchen open to your family room, dining area and private outdoor retreat. SOLD for $1,450,000. FOR THE MOST DISCRIMINATING BUYER! PANO OCEAN VIEW including San Clemente Island & fireworks! Nano doors, pool, spa, waterfall, separate hot tub, putting green, 2 OWNED solar systems & the list goes. Resort style living that is casual & comfortable for everyday. Private office and bedroom/full bath on entry level as well as teen suite upstairs. The kitchen is a chef's dream complete with walk in pantry and butlers pantry with wine fridge. Located in highly desirable gated WestCliffe neighborhood. SOLD for $1,449,000. Rare single story located in a cul-de-sac. Better than the original using the same footprint. Designed around a sunny courtyard that creates a sunny atmosphere and takes advantage of light and space to this distinctive home. The combination of indoor and outdoor settings enhances daily life as well as casual and formal entertaining. One of 47 homes in the Vezelay gated community. 2 tankless water heaters built-in, sprinklered throughout the home,and more. SOLD for $1,325,000. This spacious home is in the prestigious gated community of Quail Ridge.It boasts a chef's kitchen, a huge family room opening to a peaceful backyard. It features a formal dining room and a living room big enough for a grand piano and more.The Master Retreat has an expansive bath, adjoining office or nursery, two huge closets (one could be an exercise room) and ocean view from the balcony. Two staircases. Downstairs den has an adjoining full bath--easily converted to a bedroom.Close to beaches & shopping. Popular Plan 4 Heights in fabulous location! Close to Solana Highlands Elementary, High Bluff Park and Del Mar Highlands Shopping. Move in ready with dramatic entry w/spiral staircase, formal living/dining room, vaulted ceilings, french doors, bedroom/bath downstairs, Master and 2 additional bedrooms upstairs, new fresh paint thru-out, and 3 car garage! SOLD for $1,245,000. Lovely home in gated Santa Barbara. SOLD for $1,580,000. PRICED TO SELL! Desirable LA COSTA OAKS on cul-de-sac street! This nearly new home is absolutely stunning! Step inside this wide open floorplan to rich hardwood flooring, custom paint, elegant wrought iron staircase, cozy stacked stone fireplace & much more! The LARGE kitchen features upgraded granite, huge island, breakfast bar, oversized dining area & stainless steel appliances! 4 bedrooms & loft up and one full bdrm suite down! Bkyrd bar/ built in BBQ, bubbling spa & lounging area! SOLAR! SOLD for $1,025,000. Torrey View - a gated enclave of homes / great location & access to amenities. Corner lot home / builder option of "den" /media center upstairs in addition to 3 full bedrooms & 2 full baths upstairs. Beautifully maintained & move-in ready. Open floor plan is enhanced with great windows showing/allowing lots of light. First level living & dine areas flow to large kitchen & family room. Master suite with rich custom built-in cabinetry. Exercise pool & spa & large west facing private yard. SOLD for $955,000. This beautiful residence with breathtaking canyon views blends Spanish architecture & a generous floor plan flooded with natural light all day. Highly desirable 1st floor bedroom/bath. Gourmet kitchen boasts black granite, upgraded appliances, oversized island & dine-in bar. Private outdoor living year round with a covered patio & lawn backing up to open space. End each day soaking in the sunset view over the lush canyon! 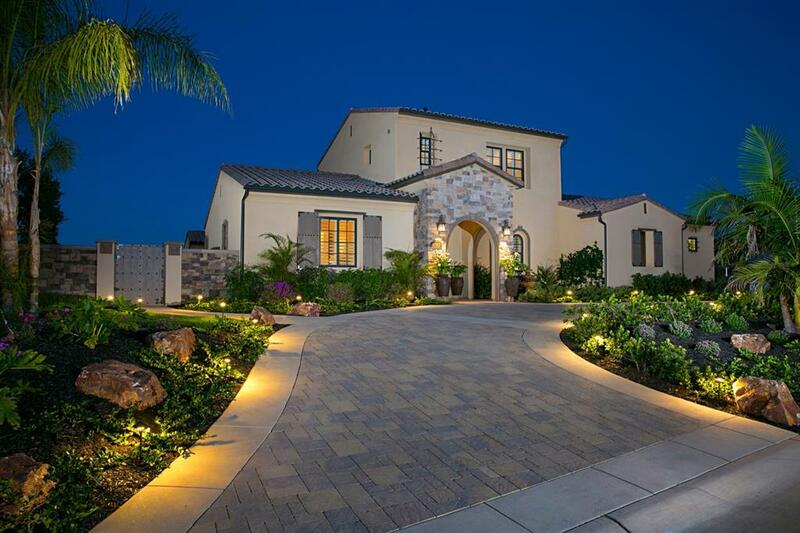 Enjoy upscale Torrey Del Mar lifestyle: 5-acre park, easy fwy access & top schools. SOLD for $949,000. Built in 2008, this home truly shows like a model… and features all of the benefits of a newer home…. yet has NO Mello Roos. With the addition of a 16 panel SunPower solar electric system, and drought resistant landscaping, your maintenance costs are minimized as well. Large corner lot features a wonderful courtyard area great for entertaining. Low annual fee is for use of the nearby Westwood Community Center. Come see... and understand the true meaning of "More Bang for your Buck." SOLD for $935,000. Perfect blend of stunning contemporary design with Tuscan architecture. Custom upgrades throughout (see suppl) & open floor plan make this an entertainer’s dream! The backyard is your own lush retreat with rock water fall/pond, covered patio, firepit & BBQ island. 1st floor suite is perfect for guests/seniors/nanny. OWNED Solar = approx $5,000 SAVED per year! Coveted location in upscale Torrey Highlands: top schools, easy fwy access & convenient amenities. SOLD for $925,000. Experience the perfect blend of fine luxury & versatile livability! Whether you want private enjoyment or to entertain, the backyard oasis provides it: sparkling pool with stone waterfall & spa, BBQ island & large patio. The gourmet kitchen & surrounding spaces are an entertainer’s dream. Take in the sunset mountain view from your generous master suite. 1st floor bedroom & 3 upstairs rooms are spacious & bright. Enjoy family friendly 4S Ranch: top schools & proximity to parks, shopping & restaurants. SOLD for $919,000. RARELY Available Rancho Verde Estates Home. This Gorgeous Remodel has 4BD/2BA and sits on a massive size lot and a circular driveway add curb appeal. This Beauty Compasses a Grand Chef Inspired Kitchen equipped with SS Appliances, Quartz Counters, Pantry, Custom Lighting, the largest kitchen in the development. Luxurious Baths, New paint, Flooring,Windows throughout, Mountain Views and more. Brand new HVAC, flooring, vinyl windows, etc. SOLD for $905,000. Stunning single level home in the heart of Desirable La Costa Valley! Flowing floor plan accented by beautiful new hardwood flooring! Lots of windows with Plantation shutters make this home light and bright. Tiled fireplace & built-ins in living room. The generous sized combo living & dining area with wet bar is great for entertaining. Kitchen with it's own eat-in area, Granite counters, backsplash & hard wood floors. Fully owned solar system installed in 2016. ZERO COST ELECTRIC BILL! SOLD for $875,000. Gorgeous & spacious, single story University City home located in the very desirable "west-end". Features include: 4 bedrooms, 2 beautifully remodeled bathrooms, 1,900 sq ft, 6,500 sq ft lot, living room with fireplace, separate family room with pitched wood ceiling, breakfast nook, dining area and spacious office with separate entrance. New stone driveway and entry. Custom entry door. Owned solar adds tremendous value! Walking distance to stores, restaurants, park & services. Excellent schools. MUST SEE. Welcome home to one of Carmel Valley's most prestigious neighborhoods at Regents Square! This upgraded, bright and sunny end corner unit has wood floors, plantation shutters, crown molding & kitchen has new appliances, granite countertops, attached 2 car garage and huge storage room! This lovely home has it all with all 3 bedrooms upstairs, 2 1/2 baths all remodeled, large laundry area, huge walk-in closet & jetted tub in master bath!! Close to beaches, shopping, restaurants, schools & easy access to I-5! SOLD for $850,000. Seller will Entertain Offers Between $824,900 & $849,900. From the moment you walk in, an architectural dream awaits you! Beautiful Pano VIEWS of open space & wildlife habitat from multiple rooms, LR, FR, Formal DR, Kit, Nook & Ma Bdrm. Spacious floorplan, 3 Lg Bdrms + Office down w/wet bar, easily convert to 4th Bdrm. Ma Bdrm Ste w/FP, + Retreat as nursery/office. 3 Baths, 1 down w/shower & 3 FP. Resurfaced POOL w/heater & pool sweep. Low HOA $84/mo & NO MELLO ROOS. Award Winning Poway Schools! SOLD for $844,888. This is the ONE! Charming craftsman with contemporary remodel located in one of the major historic urban communities in San Diego. Spacious floor plan including open kitchen & living spaces, generous storage space and cabinetry, large bedrooms, walk in closets and a generous laundry room. Enjoy the extraordinary detail and design in the gorgeous laminate wood flooring, crisp white cabinetry, stainless steel appliances, marble quartz countertops, refinished built ins, accent tiling & more. SOLD for $795,000. RARELY available SINGLE STORY DETACHED home in Carmel Valley. Priced well below $1.0MM. Ideal investment opportunity. Incredibly convenient location, CORNER LOT, close proximity to everything...Walk to the gorgeous BayClub, convenient to walking & biking trails, the BEST/top rated schools, walk to many churches & places of worship. Nearby shopping centers are Piazza Carmel and Del Mar Highlands. Cul-de-Sac street, NO power lines, NO road noise, NO HOA, NO Mello Roos. Comps do support the list price. This home has been beautifully remodeled and is in immaculate condition. The open kitchen is perfect for cooking and entertaining while the double french doors off of the dining room and family room open up to to a west facing backyard where you can sit and watch a beautiful sunset. The upgraded counters, appliances, flooring, windows, and the final finishes provide a living space that is both stylish and welcoming. SOLD for $749,000. Come and enjoy the gorgeous sunset views from the warm firepit in this beautiful backyard or from the master bedroom! This immaculate home has so much to offer from the tranquil courtyard with fountain to the man's dream garage to the amazing views. It also features a beautiful mosaic in front entryway, Travertine floors, Granite counters and custom backsplash in the kitchen, granite counters in all bathrooms, upgraded baseboards, custom tiled bathroom downstairs, & so much more. SOLD for $731,000. 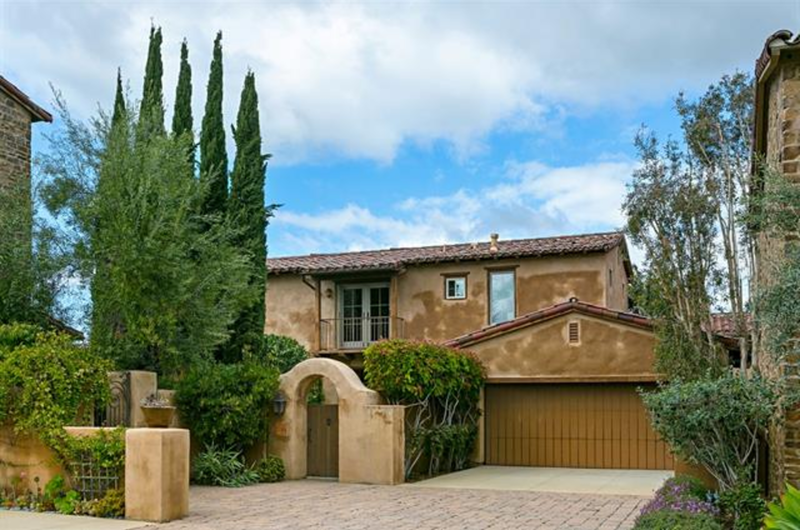 Great location in La Costa! This light & bright freshly painted home w/new carpet features kitchen w/center island & all new appliances, cozy family room w/fireplace, lush backyard views from every window, formal living room, dining room & new light fixtures. Upstairs master suite features vaulted ceiling, dual sinks, walk-in closet, soaking tub, & glass shower. Private backyard w/stamped concrete patio & grass area. Community features pool, playground, award winning schools & low HOA and No Mello Roos! SOLD for $720,000. Located at the end of a cul-de-sac street in popular Westwood master community of Rancho Bernardo. Excellent schools and convenient for shopping, restaurants, or freeway commuter needs. This fabulous home was completely rebuilt in 2008, making this the newest home in the neighborhood! Highly upgraded with stainless appliances, wood flooring, high ceilings, granite and tile. Thoughtful architectural changes to create open and bright flowing floor plan . Enjoy canyon views from the private master balcony. SOLD for $709,500. PRIME LOCATION IN HIGHLY DESIRABLE CHATEAU VILLAGE W/ SOUTH FACING PATIO. BRIGHT AND AIRY OPEN FLOOR PLAN WITH BEAUTIFUL TRAVERTINE FLOORING, UPGRADED KITCHEN, AND STONE STACKED SURROUNDING COZY FIREPLACE. TWO MASTER SUITES W/EACH BEDROOM HAVING OWN BATH. FRENCH DOORS OPEN UP TO A FANTASTIC PATIO FOR ENTERTAINING FRIENDS AND FAMILY. OVERSIZED ATTACHED 2 CAR GARAGE WITH EPOXY FLOORING. AMAZING COMMUNITY POOL, SPA, TENNIS COURT, AND FITNESS CENTER. EASY ACCESS TO SHOPPING, BEACHES, SCHOOLS, AND FREEWAYS. SOLD for $674,000. This charming, remodeled, single-story home on large, private lot has 4br/2ba & 1878 esf! Enjoy upgraded kitchen w/granite counters, SS appliances & large island. Beautiful travertine floors, decorative baseboards & fireplace in living room create that welcome home feeling. Plenty of natural light from skylights. Efficient dual pane windows. French doors lead to covered patio and large yard for entertaining. Central A/C & ceiling fans. No HOA or Mello Roos. Great central location close to all. SOLD for $655,168. Breathtaking home with panoramic mtn views in upscale Eastlake Greens! Step into an open floor plan with cathedral ceilings & abundant windows. Highly desirable 1st floor bedroom with a full bath perfect for seniors/guests! Gourmet kitchen boasts upgraded granite & bar seating. Enjoy the sunrise view from your master suite & luxe bath. Backyard offers outdoor enjoyment all year: covered patio & oversized lawn. Enjoy convenient expressway & shopping. Walk to nearby Augusta park - pool, tennis & more! Beautiful Eastlake 2 story home located on a cul-de-sac. No HOA! Home features 5 bed, 2.5 bath and 2 car attached garage with plenty of more space in the driveway. Master bedroom features a private balcony deck to sit back and enjoy the view. Backyard area is spacious and features a BBQ pit area that is perfect for those summer days entertaining friends and family. Has a Lift Chair that comes with the home or can be removed, giving access to all upstairs bedrooms and baths without having to climb steps!! SOLD for $634,900. This picture-perfect Garretson townhome boasts Rancho Adobe architecture, open floor plan & designer modern details. Thoughtfully designed for entertaining with a lovely courtyard, beautifully appointed great room & inspiring kitchen: designer quartz, Whirlpool stainless appliances & large island. Escape to the spa-like master suite & additional spacious bedrooms. Experience the vibrant, upscale Del Sur lifestyle: convenient amenities, dining & shopping; community events, parks & pools; & top schools. SOLD for $624,000. Fabulous townhome in the beautiful gated community of Voscana near Aviara. The home has an ideal location within the community close to green space, the tot lot, BBQ area and open space for hiking. It is a Plan 1 that shows like brand new. It boasts granite countertops, stainless appliances, upgraded carpet, designer pendants in kitchen, ceiling fans and a custom built-in bench on the patio. Master suite features a spacious bedroom, walk-in closet and bathroom with double vanities. Must see this one! SOLD for $615,000. POOL SIZE BKYRD in desirable, GATED, Silver Crest! Step inside to beautiful custom paint, newer flooring, plantation shutters & an open flowing floor plan! The large kitchen features a center island, breakfast nook & plenty of cabinet space. The spacious adjoining family room is accented w/the cozy fireplace! Upstairs you will find 3 bedrooms including a large, beautiful master suite with a luxurious master bath w/separate tub & shower. The downstairs office could be easily converted to 4th bedrm... SOLD for $610,000. Perfect home located on a cul-de-sac! Do not miss out on viewing this solar home! This home opens up to a high ceiling entry way, the living room is found off to the side and through each room you will find large windows to allow bright natural light in! The kitchen is equipped with granite counter tops, stainless steel appliances and much cabinet space. The dining area is an open concept to another living area, perfect for entertaining! SOLD for $590,500. Highly sought after Las Palmas townhouse with wood floors. Open concept living room / dining room / kitchen area with vaulted ceilings and a cozy fireplace. Spacious master suite has three closets and a balcony. 2 car garage with laundry hookups. Large, private patio at entry. Walk to shopping and the UCSD Bus line. Las Palmas features two beautiful pool areas and park-like grounds. A great value and a must see! SOLD for $585,000. Turn key, beautiful home inside and out!! A western view from your back yard overlooking your swimming pool. 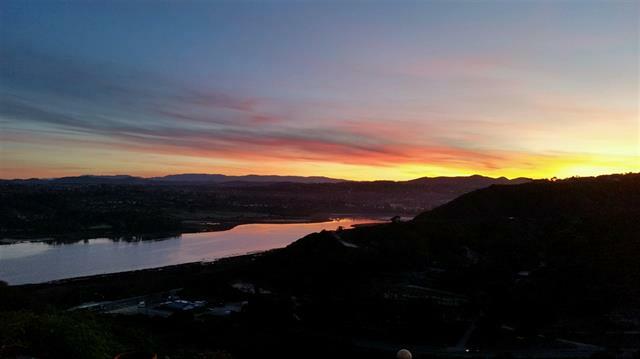 Enjoy a panoramic view over the hills of Camp Pendleton. Minutes to downtown Oceanside and the beach! Friendly community with a tot lot across street & access to park. Great school district with 3 different high schools within 10 minutes. This is a large corner lot with plenty of room for your dog to run around. And say good bye to your electric bill...SOLD for $560,000. Listed between $525,000-$550,000, this lovely 2 bedroom +loft, 2.5 bath end unit La Costa townhome is move-in ready! 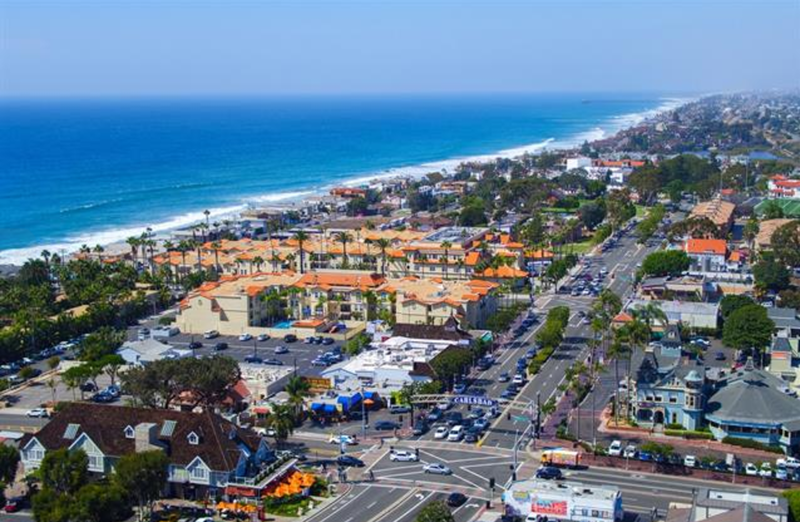 Just minutes to the 5 & 78 freeways, gorgeous beaches, and the fabulous shopping and dining of Carlsbad, Encinitas, and Solana Beach! Enjoy two community pools and spas, two tennis courts, and the peaceful park-like grounds of the neighborhood. Upgraded flooring throughout, new countertops and appliances in the kitchen, and new countertops and tile in the bathrooms. Award-winning schools! SOLD for $536,800. Beautiful townhome located in the town center of the village of San Elijo Hills. Walk to daycare, schools, restaurants, shops, grocery store. Several holiday community events. Seller has numerous upgrades. First floor entry is currently an office with a sliding barn door style for quiet and privacy. Cherry hardwood floors. Carpeting 3 years new, custom paint. Upgraded house fans. New garbage disposal. Attached 2 car tandem garage. Guest parking. Refrigerator conveys. Washer and dryer sold separately. SOLD for $450,000. Single story 2 bedroom/2 bath home in the desirable High Country Villas +55 community. This lovely home backs up to a green belt. Remodeled kitchen and bathrooms are just a few of the upgrades, Detached one car garage & easy guest parking. Home includes all appliances and washer/dryer. Enjoy the private 9 hole golf course, club house, pool, spa, social activities & more! Located in quiet cul-de-sac with easy access to shopping, freeways and beach. SOLD for $448,750. Wow! Great location & so many amenities come with this bright & spacious townhome. Newer vinyl windows throughout. Private entry has mature citrus trees & a small patio. Two large sliding glass doors open from the living room to a garden patio. Enjoy the beautiful mountain view. The living room is especially large & includes a dining area. Newer concrete counter tops & fixtures in the galley kitchen. The home has 1/2 bath & good size laundry room with plenty of storage. SOLD for $425,000. Highly Desirable Location, Location, Location! Close to shopping, restaurants and nightlife in Mission Hills and Hillcrest. 2 bedrooms/2 baths in a light-filled urban condominium home. Renovated kitchen with quartz counter tops, stainless steel appliances and tiled backsplash. Upgraded Bathrooms and custom tile and paint throughout. Convenient stacked washer/dryer. Fireplace adds to the character of the living room. Secure Building plus 1 assigned parking spot in the underground garage & 1 parking permit. SOLD for $400,000. Coastal Premier Properties is pleased to welcome Sara Nuernberger! Sara will be working in both San Diego and Temecula! Sara Nuernberger is your go-to Realtor for properties in and around San Diego and Temecula. She was born and raised in North San Diego County and has extensive knowledge about the area. Sara became interested in real estate after growing up in a custom home construction family. She is passionate about homes and focuses on the unique needs of each client. From first time home buyers to affluent sellers, Sara can provide the guidance you need. Using the latest marketing technology, as well as proven traditional strategies, Sara will help make your move happen as smoothly as possible. Every client deserves personal attention and Sara is dedicated to providing an extraordinary experience. In her spare time, Sara enjoys spending time with her family and friends. She would love to be your realtor! Click here to contact Sara. To learn more about Coastal Premier Properties, visit our website!